Age of Kings Heaven » Forums » Scenario Design and Discussion » The Continuous Screenshot Competition X - Current theme: "Wolf Pack" - Voting open until April 14! Topic Subject: The Continuous Screenshot Competition X - Current theme: "Wolf Pack" - Voting open until April 14! Welcome to the The Continuous Screenshot Competition X - The Original Continuous Screenshot Competitions Around HeavenGames Since 21st May 2006! I present to you, the tenth episode of our beloved, one and only, Continuous Screenshot Competition, which as its name blatantly applies, is where we hold a continuous screenshot competition. Yeah, for real. It's a continuous screenshot competition, where a continuous series of screenshot competitions take place. Quite original, don't you say? I never even thought of the idea that one could hold a continuous screenshot competition in a continuous screenshot competition thread! This is truly a magnificent discovery, a crowning achievement of mankind! It even compares to the discovery of sliced bread, and even the discovery of Albert Einstein! There's no doubt that it will go down in the pages of history. Because you see, as quoted from The Free Dictionary, history is defined as "a usually chronological record of events, as of the life or development of a people or institution, often including an explanation of or commentary on those events". Did you notice that I put an emphasis on the bold text? Yes, this is certainly a development of us, the AoKH people, of the AoKH institution. Age of Kings is just your ordinary medieval strategy game, what's the big deal about it? It's got sucky 2D graphics made of properly-designed pixels. And what's even worse is that players don't have the capability of constructing a spaceship, creating a naked female villager without having to mod those VMDLs *now that's a good idea*, or electing Julian Assange as president. So what is it that keeps it strong, after 11 years and many people are still infatuated by it? What's the reason? Well, I have no time to answer that question now, because this thread is where we submit screenshots from the game, not to have an pointless discussion about it. Seriously, why did I derail this monologue to that bit? Wasn't I talking about cranberry sauce? Oh, never mind. No one would read rants like this, anyway. Anyway, I have to explain the rules, as did the CSC hosts who have passed the throne until it eventually comes to my grasp. Here's how this competition works: Everyone who wishes to enter must take a screenshot that they made which is relevant to the current category, the screenshot can be related to the title literally or abstractly, as long as you can give an explanation of why you say your screenshot relates to the category in hand and doesn't defy any of the rules stated below, it goes in. Make your screenshot as literal, creative or imaginative as you like - as long as it's related to the category in at least one way! OK, so you’ve got your screenshot all in and ready, what happens next? After the given time, which is usually 5 days if we've got enough entries to be competed (obviously it's not a competition if there's only one entry), the time for entrants will be closed, and then people who did not enter can vote for the screenshot they like. After around three days on average, the person with the most votes is the winner, and they chose the next category - which is why it is a continuous cycle! There you have it! Enjoy the competition while it lasts! For more information; click here! 337. Category: Wolf Pack - Graphical mods permitted: ? No category may be used twice. If a Category has not been used for 100 Rounds it CAN be used again. You may only enter one screenshot per category. You may only enter as an individual; no team efforts. In the event that the winner cannot choose the next category a: ”Super Special Bonkers Bonus Round” will happen, this basically means there is no category and any screenshot can be entered as long as it conforms to the other rules. If there is a tie in the voting, the person who picked the category (last round's winner) will cast the tie-breaker vote. No pasting pictures into your screenshots of anything, period (text is an exception). When it comes to editing your screenshot in a program like Paint, you can remove toolbars/change them to a new border for decoration, but you may not use effects or the program to edit the base of your sceenshot. This includes creating comic-strip photos with multiple screenshots. Any text or effects must not interfere with the screenshot, and these will only be added for presentation, for example giving your screenshot on a wide-screen background would only add to presentation. Voters are reminded the content of the screenshot is what is being judged, not editing it afterward in a paint program. MODPACKS: The winner of the last round also selects whether mods including graphics are allowed. If he decides against it, no modpacks that add in new unit graphics are allowed. This includes downloads from The Blacksmith, or Steam Workshop. If he chooses that mods should be allowed in the following round, then any modpacks are allowed, even when they add graphics. The use of AOK: HD Edition IS Allowed. 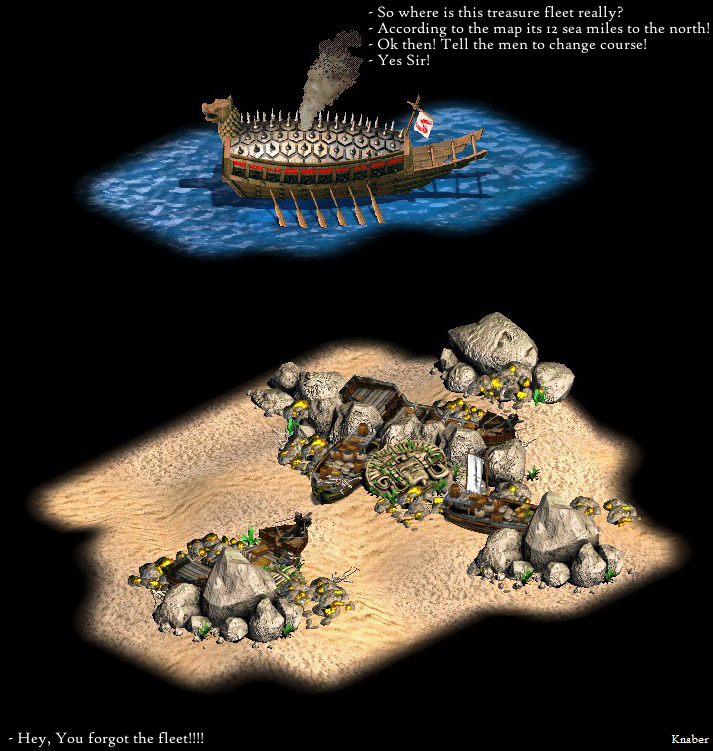 The Use of new graphics from the expansions The Forgotten and African Kingdoms, however, falls under the restriction of a category with mods allowed. Forgotten Empires counts as a mod in this regulation. When it comes to data editing you may use it to your advantage when making a screenshot however when it comes to creating and/or unlocking new/hybrid the usage of new SLPs is not allowed. No taking screenshots from campaigns/scenarios that you did not create. This is an open competition. No need to sign up, just post a screenshot that abides to the selected category. Screenshots must be made only for this competition. No using screenshots previously taken for any reason. You may, however, take screenshots from your campaign in the works that you have announced, but it must be taken specifically for this competition. The usual time for entries is 5 days, but if there have been less than 2 screenshots submitted, it will get extended. Competition and voting statuses will close at 11:59pm forum time on the designated deadline. The previous winner and the selector of the category MAY vote. If you are participating in the current competition, you CAN vote for fellow contestants if you want (when you're feeling so humble), but you CAN NOT vote for yourself for obvious reasons. If you are caught trying to make smurf accounts or getting people to sign up to AoKH so they can vote for you, and they never post and they only use their registration to give you a vote, you will be disqualified from the week, and for a further length of time based on my discretion . All voters must have an open account at HG. Trying to fix the ballot is a very serious rule, and any attempt to break this rule will have serious consequences. No flaming to other forummers. Criticism of people's work must be constructive. Don't whine if you did not win, better luck next time. Have fun, and try hard! We have decided to add some new Special one-off rounds to celebrate the work of some of the most commit AOK designers - The Modders. These people put years of work into making detailed graphics effectively giving the AOK player an almost brand new game to play. These Special Rounds celebrate the release of some of the biggest Mod Packs released to the AOKH Blacksmith. We are using these rounds as a way of celebrating the exception abilities of AOK Modders and the fantastic way that people are able to expand our beloved game even 10 years after it's initial release. It also opens up our long standing contest to those scenario designers who don't necessarily like the vanilla scenario editor of AOK. Each Special round focuses on one Mod Pack chosen by the Host. There are no theme's for these rounds however, each entry must show the new graphics and features of the Modpack. Follow all CSC rules unless otherwise stated here. These rounds are Special Rounds. The winner will not get to choose the new theme but instead, the winner of the round before will choose the theme. If there is a Tie and the previous winner has enter a screenshot the voting will go to Deadlock and the head judge (the Host) will decide on the winning screenshot. F11 removes the game time from view. F4 removes the player scores. 266. Fireworks: Schwarz_Lizard - (9 Votes). Arnas, guess what other services I forget thee passwords to? Just write these passwords down. It's not like an online banking account or the like. ["I am the True God, Lua-kuh. Hhsssss. Start the Church of the Talking Lizard. Hssssssss. Build the Neo Temple. Spread the Word. Hssssssssssss. Follow meeeeeeeee... to... the otha... siiiiiiiide..."
Vote: Jernside, with Vikredsting beeing a close second. Jernside is the winner! Please choose a new theme. I will edit the OP and Archives when I come home. It's close to impossible from my phone. The text windows are bugged and I can't scroll down. That makes editing any post that exceeds the said window size quite a chore. Accepting entries until May 1st. Well, you would understand it if you have seen both the movies which I think everyone must have ! Edit:I have a question: is using of beta units is a problem? Nope. You can use anything and everything except mods. For more you can refer to rules given at the top of the thread. Knaber, are the graphics of the wrecks in your entry modded? If so, I'm pretty sure it's against the CSC rules. 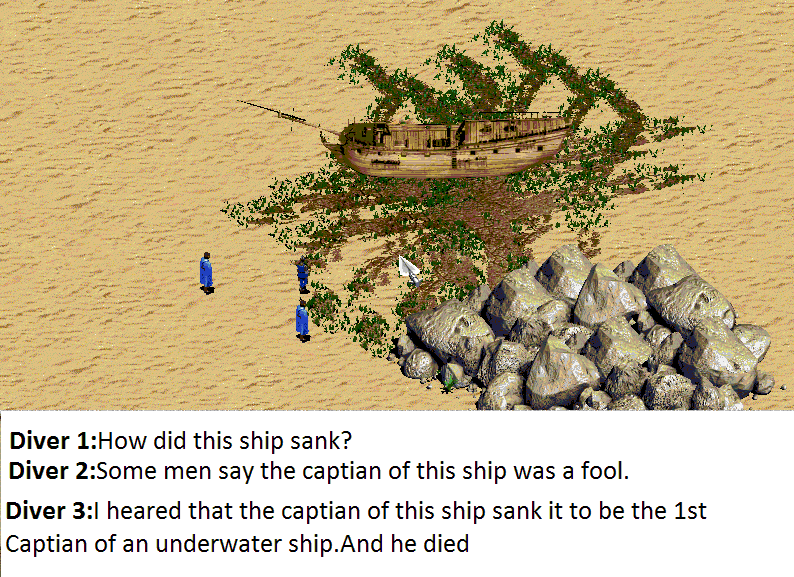 Nope!I have only removed the sails from the ships without modding any Graphics. Also, the smoke is the same as from a blacksmith. EDIT: Arnas you Little cheater, createing that good entries is the same as typing "i r Winner"
I'll see if i can get an entry in myself. Knaber is this possible to do without data edditing? If yes say us how. That would be much possibilities for upcoming eyecandies. Man these are all really creative! Loving the theme this round! The smoke is just from "The forgotten" HD expansion. You removed the from the drs? That way it technically IS graphical modding. Although this same effect IS possible with simply data editing though. Read this, i am not brakeing any rules! It is forbidden to use new or altered graphics. It does not matter how you achieve your desired effect, as long as there are now new graphics. It is therefore perfectly fine to remove the sail graphics, even though I consider it easier to remove them in a data file. Thanks for the many entries! And also thanks for changing the title, who ever has done it. Edit: Ninja'd by Knaber. Drs editing is just another part of data editing, so to say. The use of AOK: HD Edition IS Allowed. It is mandatory for AoK:HD users to state the use of the game in their screenshot. The Use of new graphics from the expansion The Forgotten is however, Not Allowed. The graphic itself is just the blacksmith smoke as a standalone unit. That can be done in 2 minutes with a custom data. I think it is ok, because once again, it is no new graphic. Arnas you Little cheater, createing that good entries is the same as typing "i r Winner"
Well I guess I'm going to compete with you, because your entry is my favourite thus far! I think it is ok, because once again, it is no new graphic. Oh, definitely. I was merely responding to Knaber's meticulous quoting of the rules. The smoke graphic can be unlocked with AGE afaik.